Gnr. 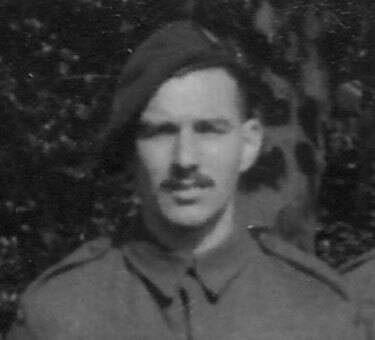 Percy Walkley, formerly of the Royal Artillery, served with No.4 Troop of No.6 Commando from, at least, October 1942 and later transferred to No.6 Troop. He became Lt-Col. Derek Mills-Roberts driver, since North Africa until, at least, January 1945.